One of the things on my study abroad bucket list was to go to a reasonably fancy afternoon tea, and it seemed like a good item for a London tourist itinerary. After looking for a venue that had some class but also a reasonable price range and available tables to be booked just a week in advance, we ended up at The Delaunay on Easter Sunday. Not a bad choice at all. We got there a bit early and wound up waiting at the bar, ordering a round of the house cocktails in the meantime. I got the Warsaw martini, which was blackberry-flavored and delicious. When we were seated, I ordered the cream tea, which came with a pot of the Delaunay blend (and, of course, this was made with actual tea leaves – none of the tea bag nonsense peasants like me are accustomed to) and three miniature scones with jam and clotted cream. Needless to say, those scones were quite the departure from the giant dry triangular scones I usually pick from the pastry case at Starbucks – those used to do the trick for me, but this comparison might ruin them. Managed to get a photo before I attacked my scones. Though my mom and brother are hot chocolate and coffee people, respectively, and didn’t order from the tea menu, they did enjoy their food. My brother got a bagel with smoked salmon and aside from being upset at having to assemble it himself seemed to react positively. 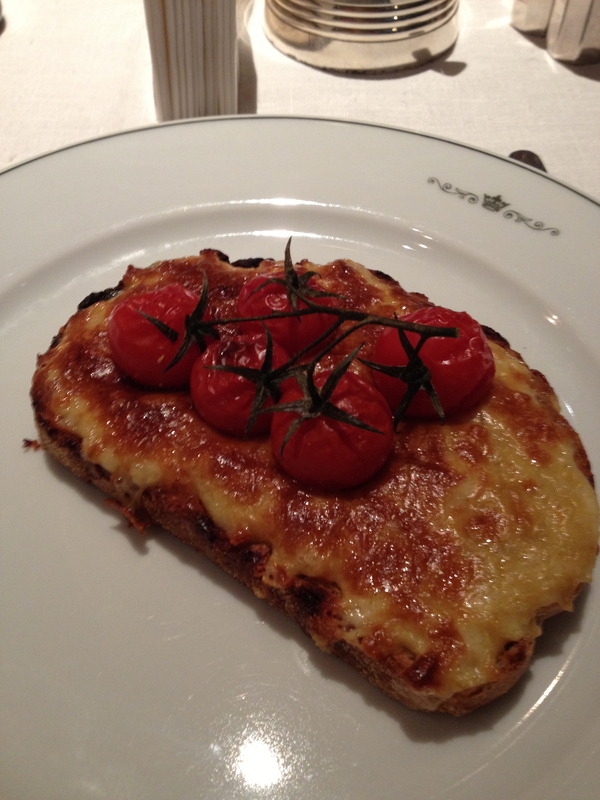 My mom was thrilled to order Welsh rarebit – apparently it was something her mother liked to make. My mom clearly enjoys it, but her dad refused to eat it for dinner, even after my grandmother threatened that he would eat it or he would wear it. By all accounts, he wore it. As far as I can tell, the moral of that story is that my grandpa had bad taste in food (honestly, I tried this Welsh rarebit, and it was delicious) and my grandma was awesome. Anyway, apparently The Delaunay also does coffee well – my brother ordered an Americano and liked it, and even my mother, who hates coffee, gave it a good review. That was a shock. I didn’t try anything from the coffee menu myself, but to get my mom to react positively to something with espresso in it is a pretty impressive feat, so I’d recommend it based on that. 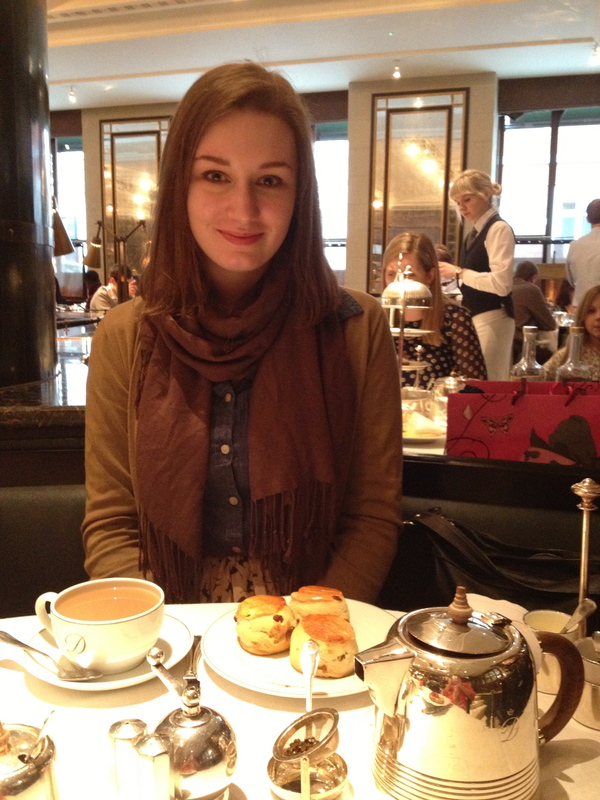 Overall, I’d definitely return to The Delaunay. Service was somewhat slow, but the atmosphere and food were excellent. Word of advice, though: If you go, dress up a bit. I wore a printed skirt, blouse, cardigan, and oxfords, and I felt a little underdressed. A dress probably would have been a better choice.